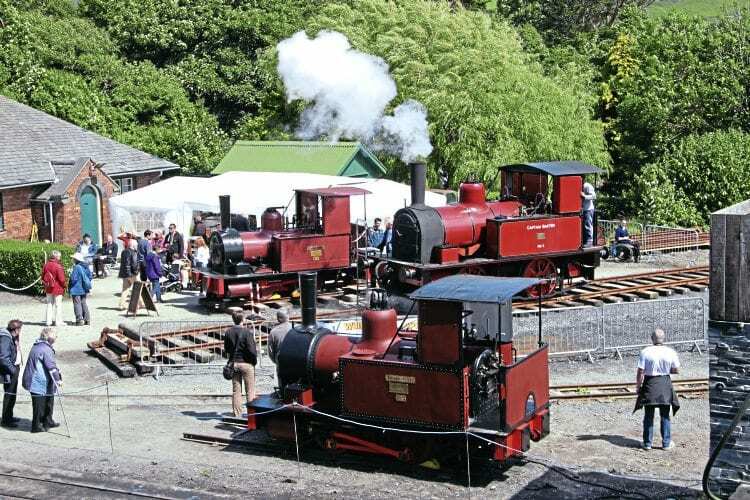 TALYLLYN Railway’s The Grand Finale gala lived up to every expectation. The July 1-3 event specifically celebrated the 150th birthday of TR’s Fletcher, Jennings 0-4-0WT No. 2 Dolgoch, while rounding off the series of events marking TR’s 150th anniversary. Bluebell Railway’s standard gauge Fletcher, Jennings 158/1877 Captain Baxter, steaming at 2ft 3in-gauge Talyllyn Railway’s Wharf station, was unprecedented.